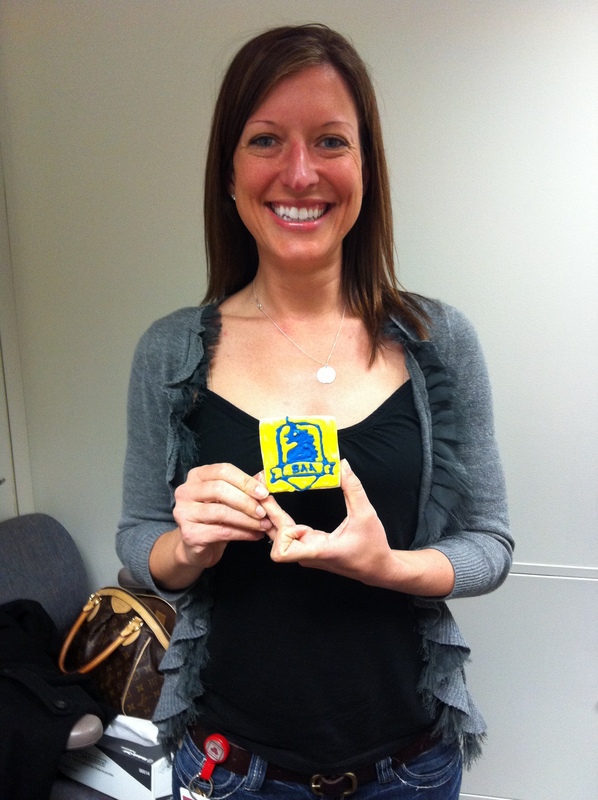 On one of my work efforts another co-worker is running the Boston Marathon for the first time as well! We keep so busy that we rarely get time to talk running, but we have managed to have a few chats about the upcoming race. The project manager on the effort is also a runner and she brought in the sweetest surprise to our meeting today. 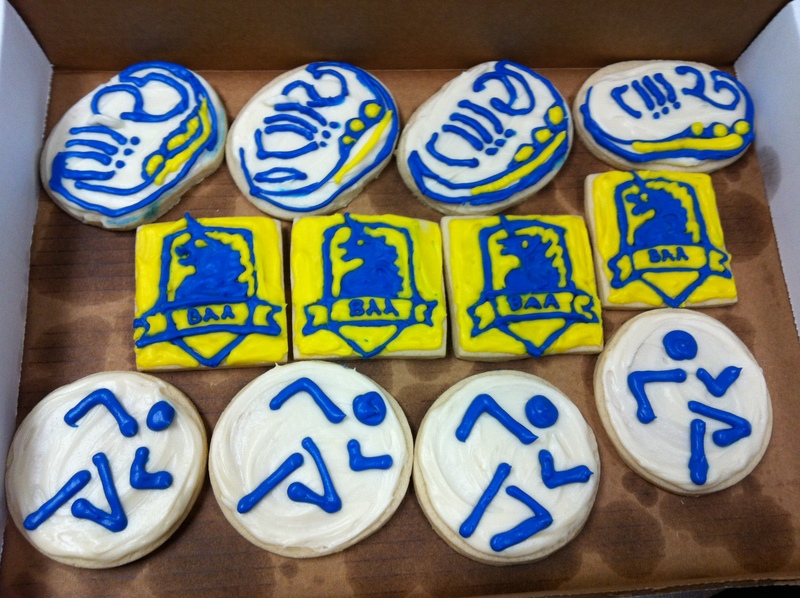 Boston Marathon themed cookies! How awesome is that?! That is just too cute! 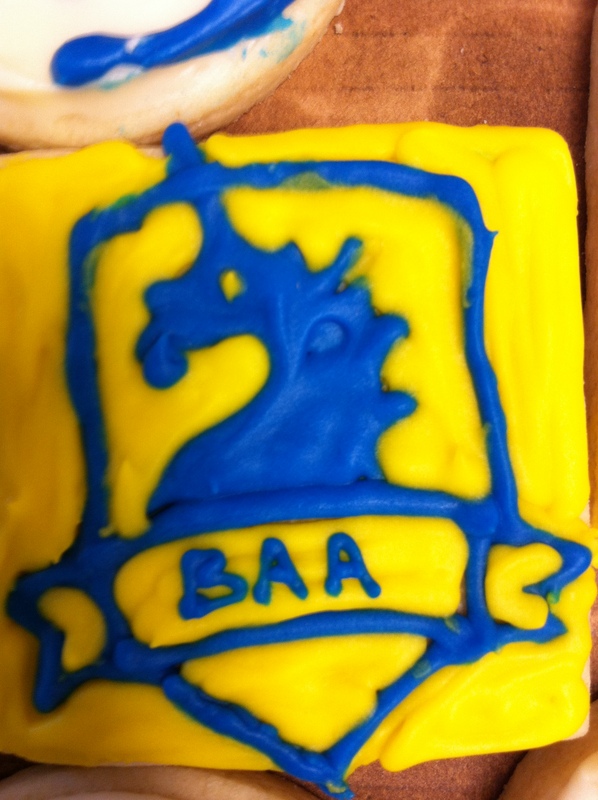 I ate a BAA one, hopefully it adds to the mojo! That is adorable! I’m glad so many people are so supportive of you for real. Thanks Steph! All the support has been so great! I plan to do a super long post so everyone can feel like they were there. Very nice and of course, Good luck!